ROCKVILLE, Md., Feb. 13, 2018 — Montgomery County Councilmember Tom Hucker has introduced a zoning change that would authorize solar energy projects that could power up to 200 homes in neighborhoods. Councilmember Hucker, who is the Council’s Lead for Environment on the Council’s Transportation, Infrastructure, Energy and Environment Committee, introduced a zoning text amendment that will allow solar energy installations with a capacity of up to 2 megawatts. The co-lead sponsor is George Leventhal and co-sponsors are Councilmembers Marc Elrich, Sidney Katz, Roger Berliner and Council Vice President Nancy Navarro. In December, the Council passed a resolution setting the goal of eliminating greenhouse gas emissions entirely by 2035. Stephanie Riddick of the Sierra Club Montgomery County Group said her group was “especially appreciative” of the proposal because it will benefit low- and moderate-income residents. “We hope that the ZTA will be an opportunity to continue the discussion on how Montgomery County can study our energy situation and work towards creating a 100 percent clean energy future for all county residents,” Riddick said. While solar power is a reliable, low-cost renewable energy source, many residents cannot take advantage of it for a number of reasons. For example, many homeowners have rooftops shaded by the tree canopy, own a condominium or can’t afford the initial outlay. Other residents can’t install their own solar panels because they rent their homes. To help address this issue, the General Assembly in 2015 passed a law creating the community solar program, allowing electricity consumers to subscribe to larger, shared solar projects in their service area. Last year, the Maryland Public Service Commission released its long-anticipated regulations on community solar projects. Other counties, such as Prince George’s, Baltimore and Anne Arundel, already allow such community projects, with 38 such projects approved around the state. 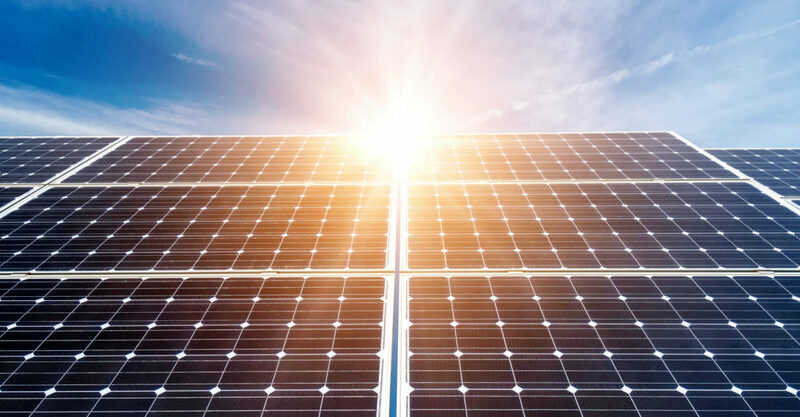 However, Montgomery County’s Zoning Code restricts solar projects to a limited use in nearly all zones and limits solar energy production to 120 percent of on-site energy consumption. These outdated restrictions make it difficult, if not impossible, to establish community solar projects because very little excess energy is allowed to be produced to support other subscribers. The proposed ZTA allows solar projects in zones other than the agricultural reserve. It raises the generating limit to 2 megawatts, enough to power up to 200 homes. It’s estimated that each 2-megawatt project would represent the equivalent of getting 310 passenger vehicles off the road and preventing more than 5 million pounds of carbon from entering the atmosphere annually. Furthermore, each project would generate about $300,000 in personal property tax, 75 to 100 temporary and permanent jobs, and up to $4 million in private investment. Councilmember Hucker said the county must do its part to curb climate change. The proposed ZTA is on the County Council’s website, montgomerycountymd.gov/council/. A public hearing on the ZTA is scheduled for April 3 at 1:30 p.m.